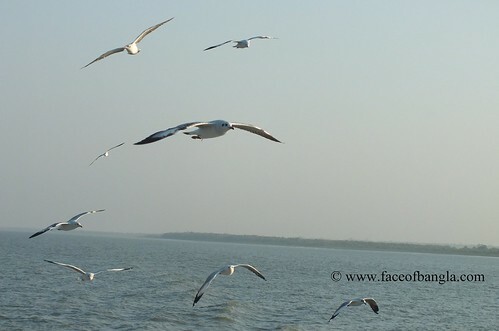 These photos were captured from the Naf River, Coxsbazar. 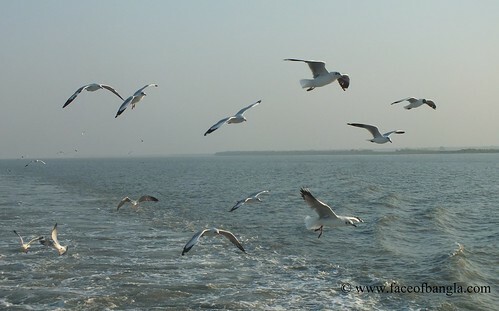 I was in the see truck, returning from Saint Martin Island. 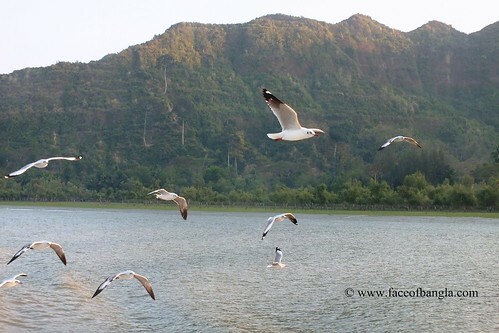 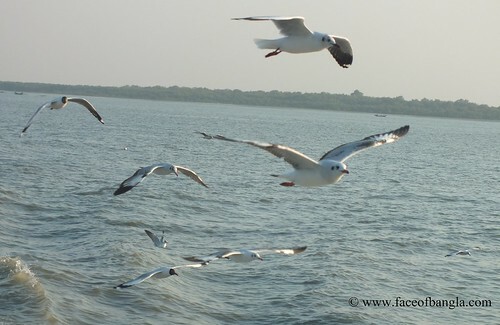 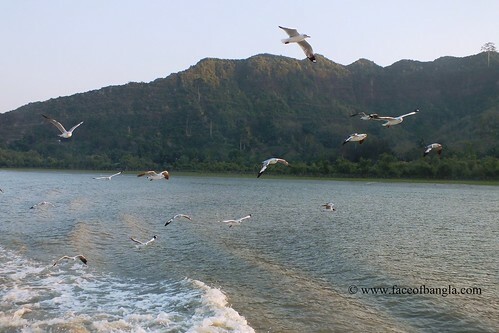 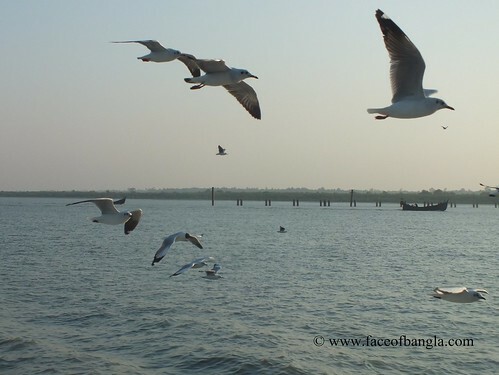 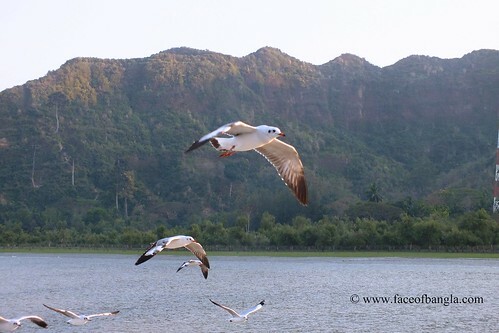 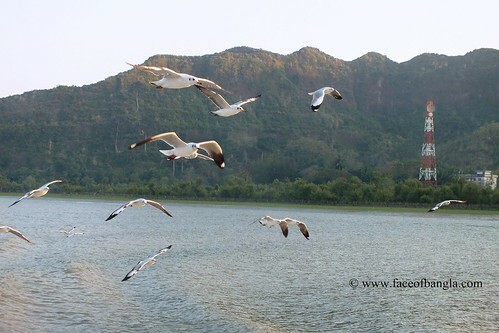 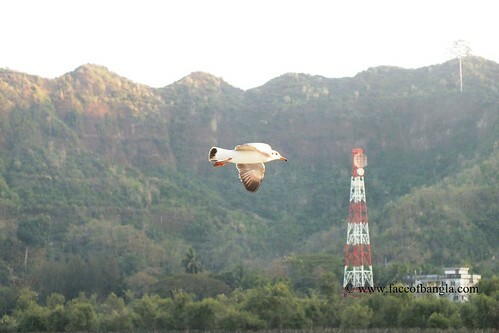 These Seagulls (গাংচিল) flew miles with us for catching foods (Potato Chips) thrown by the passengers.